As part of the development of the Bay Adelaide Centre East Tower, ERA is working with KPMB, Adamson Associates, and Brookfield Properties to conserve and refurbish two facades of an impressive four-storey masonry building constructed in 1850 and heavily renovated in 1910. Part of the interpretation of the history of this site involves making moulds from the heritage masonry and recasting these in concrete to construct additional sections of façade. 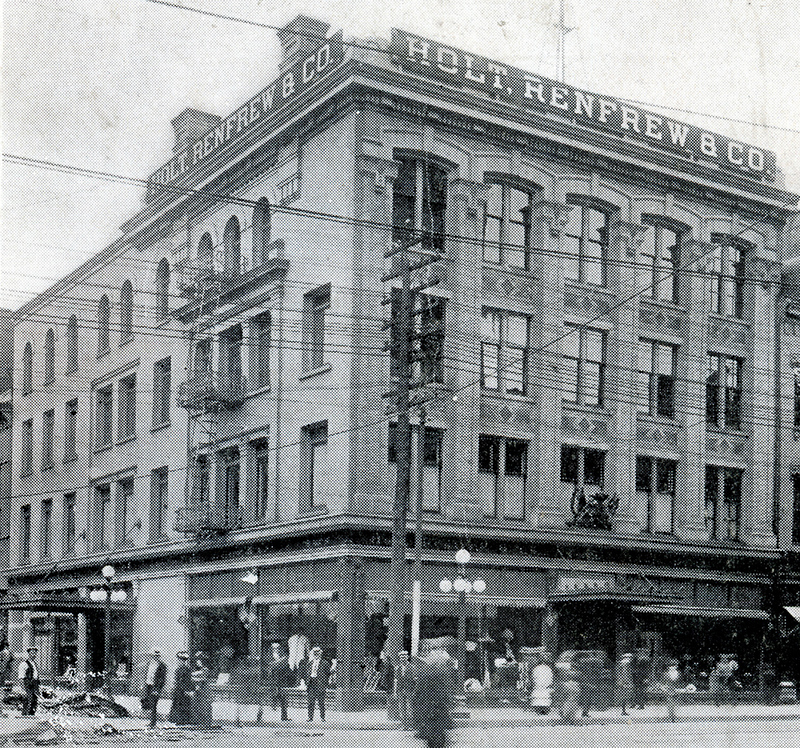 This heritage building, now 132 Yonge St., was once a part of the historic Elgin Block, which was mostly demolished years ago. 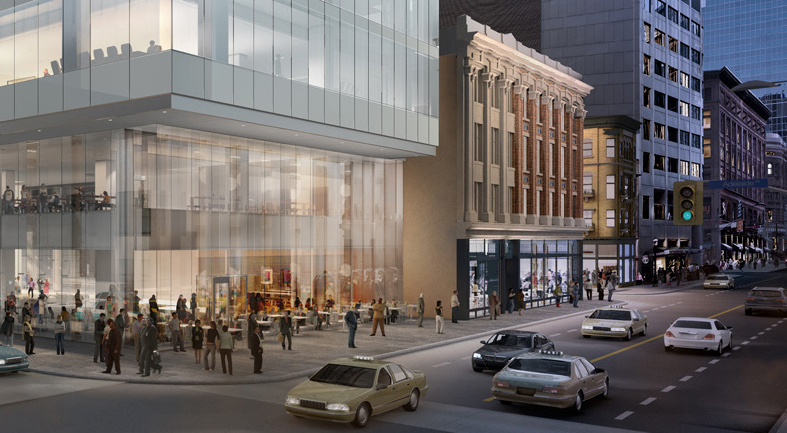 These remaining facades have been relocated north one block from Yonge and Adelaide to Yonge and Temperance, where they will contribute to an intensification of heritage fabric in concert with the Dineen building across the street. The heritage façades have been installed on the exterior of an existing building that houses the mechanical facilities of the entire development. Because this existing building has a larger floor plate than the heritage building, a gap in the Yonge Street façade needed to be filled. 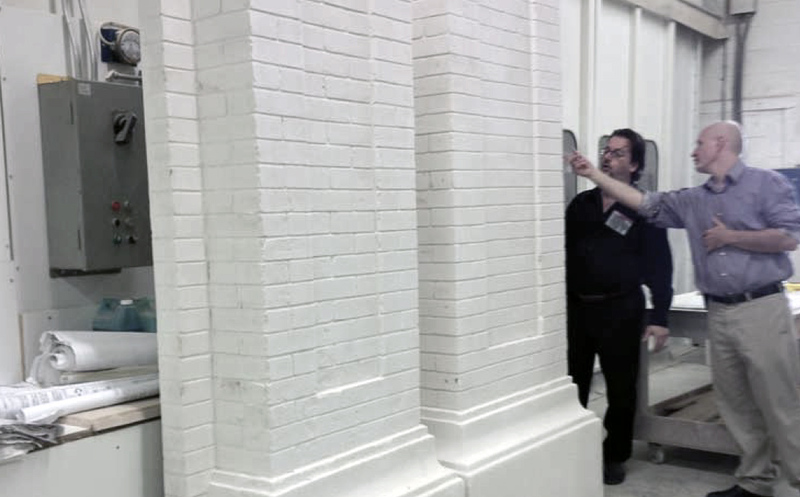 The solution is a “ghost wall,” fabricated from castings of the existing heritage façades, that gestures toward the lost historical architecture of the Elgin Block. 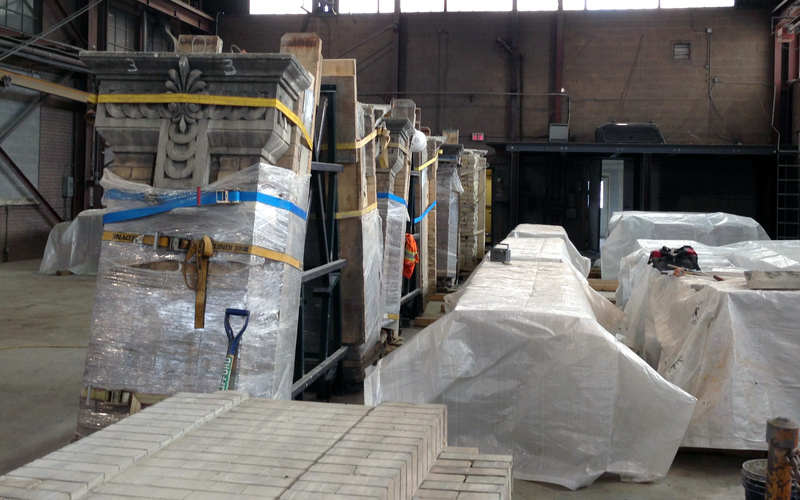 In order to make the ghost wall, we first disassembled the heritage façades into 34 pieces and transported selections to our concrete fabricators. Numerous silicon moulds were made from the sections, which in turn were used to cast a final product in glass-fibre reinforced concrete, or GFRC. GFRC is light, strong, and renders a high level of detail, showing even the pores and marks of age in the bricks. 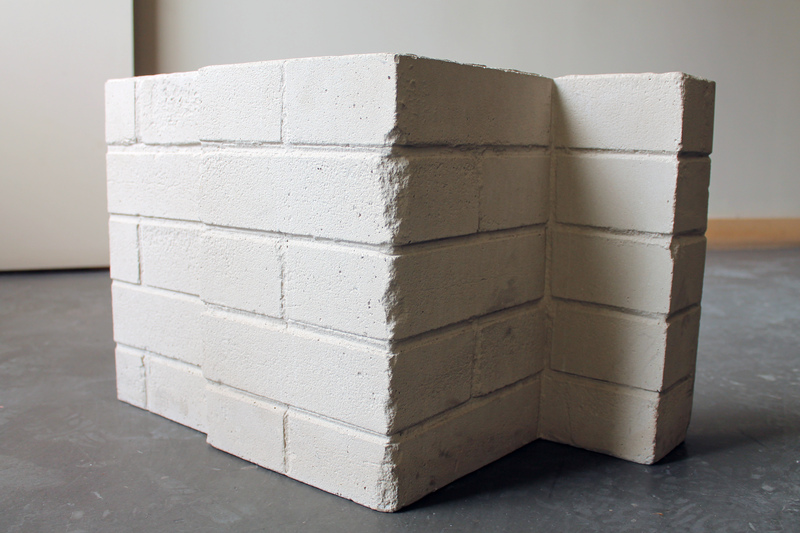 The new wall will be monochromatic and slightly lighter in tone than the heritage masonry. It seeks not to fool the eye, but, as mentioned above, to suggest the missing fabric of the Elgin Block, opening a conversation about our local history of urban development, and about the overall discourse of heritage interpretation. 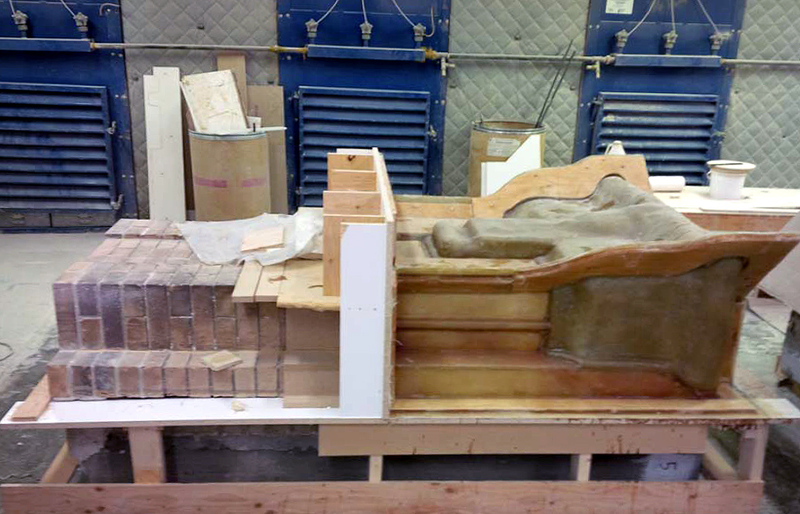 At the time of this posting, the heritage masonry has all been reconstructed, repaired, and repointed; the upper cornice is being re-fabricated based on historic photographs and drawings; and the new GFRC façade is slated to be installed in summer 2014.